You’ll have to beg my pardon. I HATE the camera. I also HATE when something doesn’t look like quality. But I think the content is quality even if the picture isn’t. Don’t EVER skip your recording demos. And try all of these things – and more – before you head into the recording studio. Not everything will work – some of these experiments will be disasters – but your recording demo is THE BEST, CHEAPEST way to make the best song possible before you head into the studio. Every song you make is potentially crucial to your career so don’t be lazy and settle for the song you wrote on your first sitting, or believe you’ll “just work it out in the studio”. 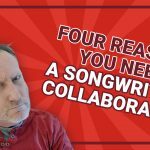 Play with your song and find the best keys, tempos, instruments, arrangement, and timing to make this song the best it can be. I’m hoping to create one of these each week. If you like the videos please comment on them on YouTube! If you don’t, please let me know! 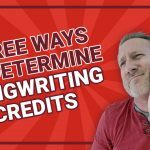 Next week’s video is my advice on three methods for determining who the songwriters are and how much credit each should get – these aren’t tips, these are overall strategies to guide ALL your songwriting credit decisions. This is a topic we get emailed for advice on all the time so I’m looking forward to sharing! This video and a bunch more to follow are about the pre-recording process. If you are planning to release an album or EP this year and you DON’T yet have Release It Right or Release It Right – The Silver Scream Edition, please visit that program now here. There are a couple free videos to give you a little bit of what the program has to offer. leo. dapibus diam libero. Donec ante. porta.